In the course of its six seasons, there's plenty we've learned from the girls on Pretty Little Liars . Whether Aria’s fashion sense or Hanna’s witty one-liners, the Liars are geniuses in their own right. Plus, Emily’s dedication to swimming and Spencer’s detective skills are also pretty admirable. OK, so Ali's ability to lie (to the point where she faked her own death) *may* not be the best example to follow... But hey, they can't all be role models! 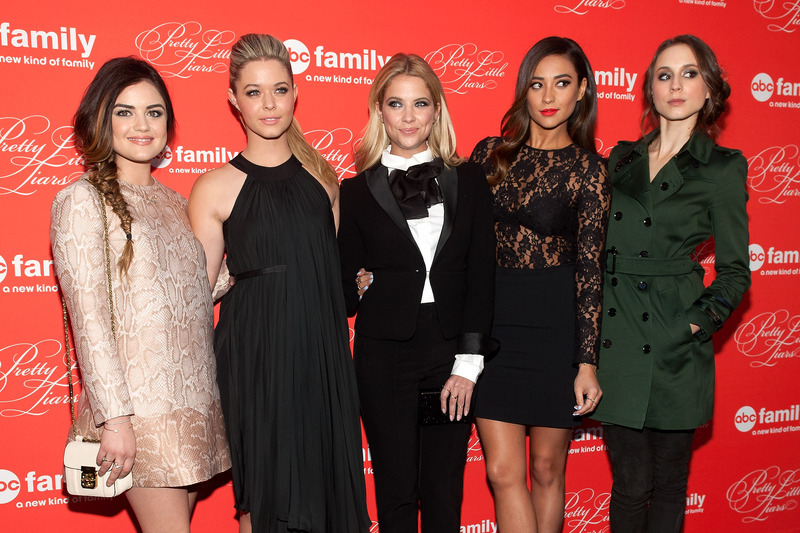 Today marks the five-year anniversary of PLL. Seriously, I can't believe it's been that long either! But it's true: The ABC Family show’s pilot debuted five years ago on June 8, 2010. And to celebrate that milestone, I've decided to reflect and compile a list of the top five-lessons we’ve learned from the Liars. Sure, the PLL girls may not always take these lessons to heart themselves, but their actions totally prove their validity. Because seriously, how many disasters does it take for the girls to learn to NOT split up in the woods? There is never any time where it winds up being a good idea. Ever. And why do they not question everything around them? No one in Rosewood is trustworthy. Not even their own siblings. Remember the time Spencer's dress got caught in a bear trap? Yeah, that was not cool. Or what about all the times they tried to find that Kissing Rock? Basically any episode where they wandered around the woods separately, it never worked out in their favor. In Rosewood, if a person says the sky is blue, you should probably double-check on that. We thought Mona was dead, but just kidding! She was alive the whole time. Same goes for Ali and Toby, who we temporarily mourned the deaths of, before realizing they were fine. Oh, and you think you know who A is? Good luck with that! A lot of unfortunate things happen in the Liars' lives (understatement of the year), but one great thing is their love lives. Haleb (aka Hanna and Caleb) has survived a ton of tests, same goes for Ezria. And for the most part, I'd say it's true for Spencer/Toby and Emily/Paige too. At the end of the day, their relationships trump all the craziness around them and provide stability. Unless you're Ali, of course. But remember when Byron tried to hide his affair from his wife? Well, Ella found out. (Thanks to A, but still!) Or when Ezra and Aria tried to hide their relationship? Yeah, that didn't really work out either. Or a black hoodie! If you see anyone wearing these items of clothing, run in the opposite direction. Immediately. Seriously, a black hoodie with black gloves is a recipe for disaster.